Blood is boiling, trash talk has been spewed, a brawl nearly erupted, and now the Hollywood lights shine down upon an eagerly-awaited heavyweight showdown. Two of the hardest-hitting men in boxing today headline a card from the Staples Center in Los Angeles, California, as Deontay Wilder (40-0, 39 KOs) defends the WBC World Heavyweight Championship against former unified heavyweight champion Tyson Fury (27-0, 19 KOs). While Wilder aimed to fight once more in 2018 after knocking out Luis Ortiz in March, he had his eyes set on another sight. Original plans appeared that Wilder was expected to finally face WBA/IBF/WBO/IBO Heavyweight Champion Anthony Joshua back in September. After months of negotiations, things came close but ultimately fell through at the last minute. Joshua instead defended his belts against his WBA mandatory, Alexander Povetkin, while Wilder took this fight with Fury. Since scoring the WBC Title with a unanimous decision over Bermane Stiverne in January 2015, Wilder has defended the championship eight consecutive times, with all eight wins coming before the final bell. Wilder has finished off the likes of Eric Molina, Chris Arreola, Gerald Washington, Stiverne and Ortiz en route to holding a claim as the best heavyweight in the world — even though he doesn’t hold the majority of boxing’s heavyweight crown. At one point, Fury could have been once considered to hold that claim. On Nov. 14, 2015, Fury shocked the world by defeating Wladimir Klitschko to win the WBA/IBF/WBO/IBO titles. It was anticipated to be the beginning of another era, but instead came a title reign of disappointment. First contractual issues forced Fury to be stripped of the IBF portion of the crown after just 10 days. Then, 2016 saw Fury face anti-doping charges from UKAD, a failed drug test due to cocaine and a mental health struggle. On Oct. 12, 2016, Fury vacated his WBA/WBO/IBO titles, having not made a single title defense. 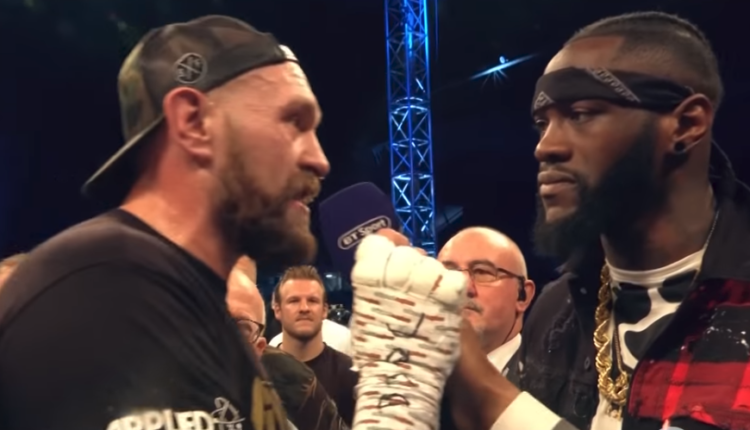 After Fury renewed his boxing license in Britain earlier this year, Fury made his comeback to the ring, defeating Sefer Seferi in June and Francesco Pianeta in August. And though this bout for Fury represents a step in reclaiming heavyweight gold, it also presents the toughest challenge he’s ever faced outside of Klitschko. It will be a true test to see if Fury can still compete with the best of the best heavyweight fighters in the world. In the co-main event of the evening, Jarrett Hurd (22-0, 15 KOs) defends the IBF and WBA Super Welterweight Titles against Jason Welborn (24-6, 7 KOs). The card also features Ortiz (29-1, 25 KOs) facing Travis Kauffman (32-2, 23 KOs) and Joe Joyce (6-0, 6 KOs) facing Joe Hanks (23-2 15 KOs). A special lead-up held prior to the pay-per-view event will be headlined by WBC light heavyweight champion Adonis Stevenson (29-1-1, 24 KOs) defending against Oleksandr Gvozdyk (15-0, 12 KOs).